Columbia Pictures slowly took over the Charles Mintz Studio (Scrappy and Krazy Kat) by folding it into the Screen Gems Studio in 1934. This studio continued producing cartoons for Columbia release until it closed in 1946. (It's last cartoon releases appeared in 1949 - For the record: the Screen Gems name was reactivated in 1948 for Columbia's TV production, and today is a label for Sony's small budget theatrical feature films). Columbia began producing and releasing UPA cartoons in 1948. The Mintz-Screen Gems cartoons are rarely shown. 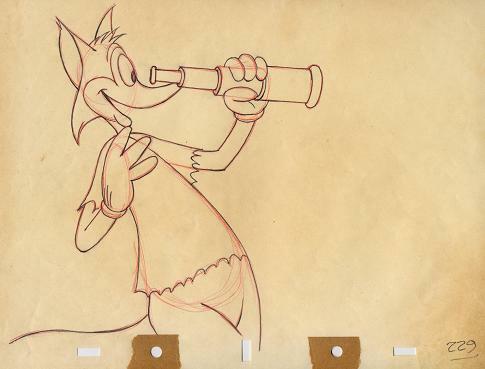 Who are the Fox and the Crow?, they're two very obscure cartoon characters created in the animation department of Columbia Pictures in the 1940s. They were first introduced in 'The Fox and the Grapes' (1941) directed by Frank Tashlin. 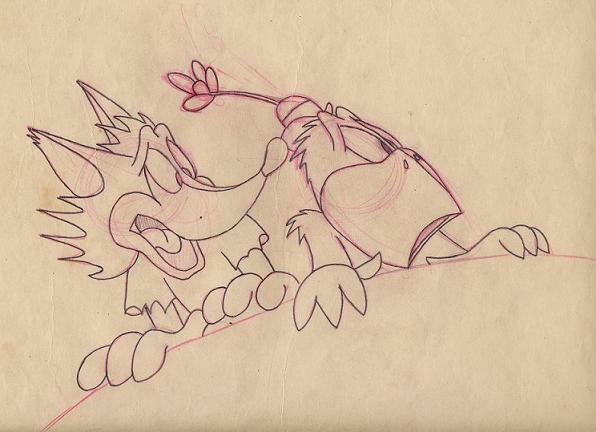 Not only was this the Fox and Crow's screen debut, but it featured excellent animation, beautiful backgrounds, and well-paced gags of the Fox trying to get the Crow's grapes, which even inspired Chuck Jones' Road Runner and Wile E. Coyote series. Famous voice actor for cartoons, Mel Blanc voiced both the Fox and the Crow in this cartoon. #CS1 -Columbia Studio 'Little Lost Sheep' Krazy Kat, Drawing (1939). Price: $675 Columbia Studio - 'LITTLE LOST SHEEP', Original Theatrical Release on October 06, 1939. 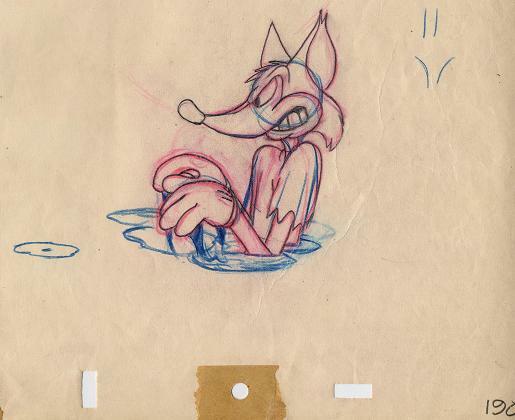 Rare original animation drawing of Krazy Kat, the star of Columbia's main cartoon series of the 1930s that was based on the great comic strip by George Herriman. Krazy Kat is depicted as the detective, with his hounds, who tracks down and rescues Bo Peep's sheep from the Wolf. 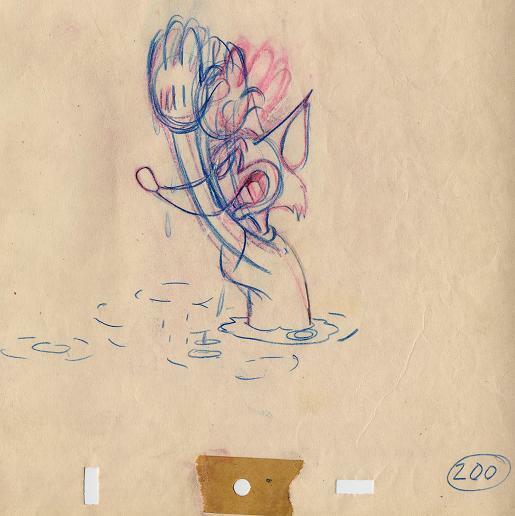 Created by an animator during production of the cartoon, it is a final animation drawing and a cel was made directly from it. The art is drawn in red and black pencil on an untrimmed animation sheet, and the image measures 3 1/2" x 8". Studio notation '27' appears at bottom right. Art from Columbia's Krazy Kat cartoons is scarce. There is light edge wear and discoloration that does not affect image: VERY FINE condition. 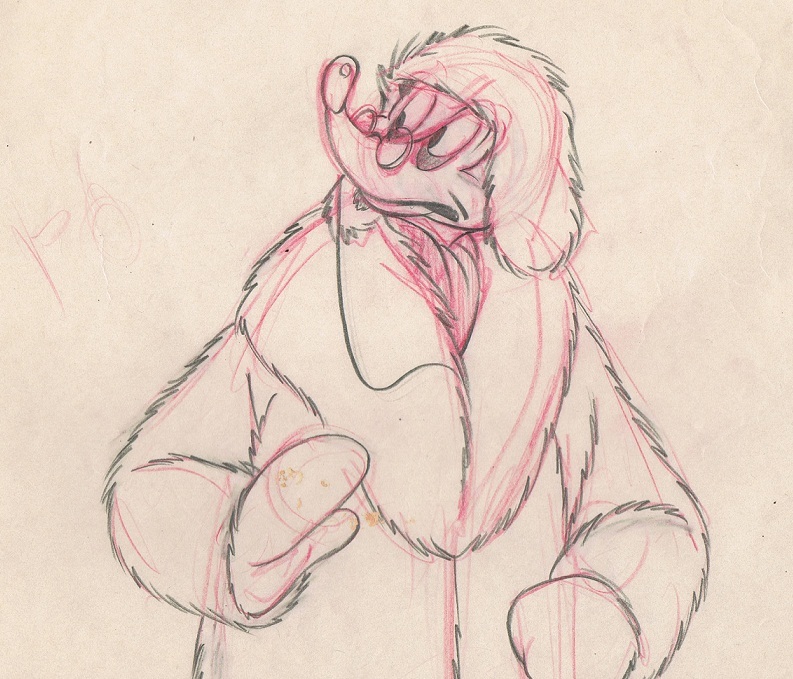 #CS13 - Columbia Studio 'Little Lost Sheep' - Chauffer, Drawing (1939). 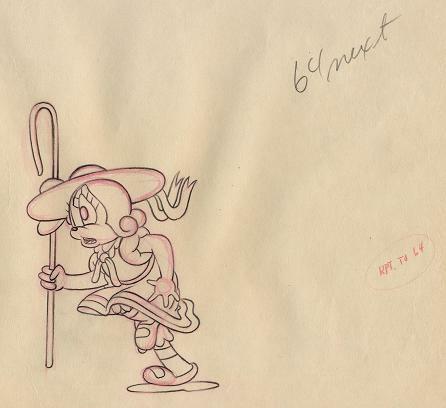 #CS12 - Columbia Studio 'Little Lost Sheep', Bo Peep Drawing (1939). #CS2 - 'Fox And The Crow', Crow (1945). Price: $450 Columbia Studio - 'THE FOX AND THE CROW', 1940s. 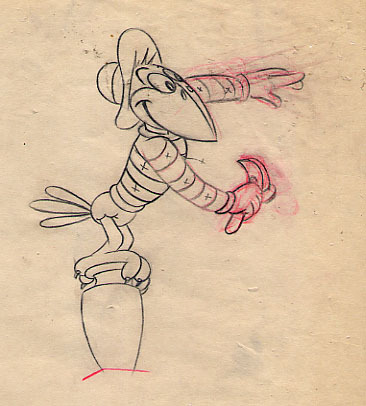 This expressive animation drawing of the Crow is from the series of Columbia cartoons produced from 1941 through 1950. It is a final animation drawing created by a Columbia animator in production of an animated cartoon, and a cel was made directly from it. Drawn in red and black pencil on an untrimmed animation sheet, the art measures 5" x 4". The animator wrote the number '31' at the bottom to indicate this drawing's place in the scene. Animation art from Columbia, and from this cartoon series in particular, is rare. The sheet shows handling, light discoloration, few pin holes, small edge tears, and a few small spots at left: VERY GOOD condition. #CS4 - ' Fox And The Crow', (1945). Price: $550 Columbia Studio - ' The Fox and The Crow', Originally Released on March 30, 1945. 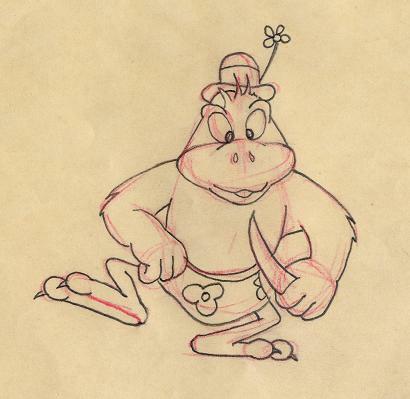 This drawing is in a wild ride from the Cartoon Short, 'KUKU NUTS' released Theatrically by Columbia Pictures Corporation . STORY: Stranded on a tropical island and tired of coco nuts, the FOX attemps to catch, roast, and eat the CROW. But, he ends up getting out-smarted by the Crow again. This drawing was ready for the ink & paint department. The FOX & CROW figures occupy an area about 4"x 9" on Screen Gems standard punched paper approx 10" x 12". The rarity of this drawing as an inbetween action (hence the name given the artist as 'inbetweener'). 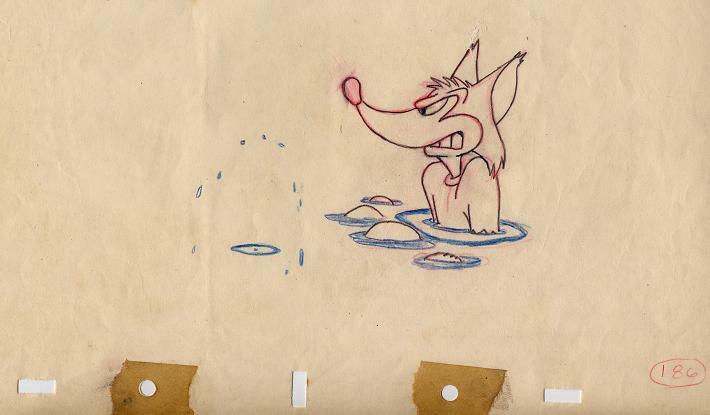 The animator sends 'roughs' to an assistant animator for clean-up. The 'breakdown' artist adds additional key drawings and the 'inbetweener' fills in the remaining drawings to smooth out or complete the action. The finished drawings are checked and then go to the ink & paint department after checking. (SOTHEBY' Collectible Department states that most artwork for the Columbia cartoons (Screen Gems) does not exist. What is not known is that the 'seller' of these drawings - a new employee, fresh out of the Marine Corps, was so taken with his dream job as inbetweener, that he saved everything he could get his hands on. 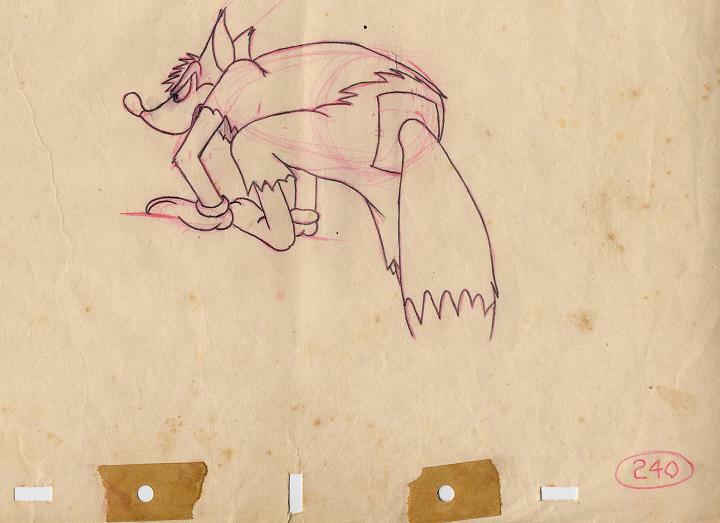 #CS16 - Screen Gems 'Room And Bored' - The Fox Drawing (1943). Price: $850 Columbia Studio - Animation figure of the Fox from the Fox & Crow cartoon "Room And Bored" (Columbia Screen Gems 1943). This inbetween is from the Cartoon Short, 'Room And Bored released in 1943. The FOX figure is approx. 8.00" tall on Screen Gems standard five hole punched paper approx 6" x 8" bearing number 33 in right corner. Price: $550 Columbia Studio - Fox and the Crow. Animation figure of the FOX from the series of FOX and CROW primary series of Screen Gems cartoon releases. This inbetween is from the Cartoon Short, 'KUKU NUTS' released in 1945. Stranded on a tropical island and tired of coco nuts, the FOX attemps to catch, roast, and eat the CROW. But, he ends up getting out-smarted by the Crow again. This drawing was ready for the ink & paint department. The FOX figure is approx. 7' tall on Screen Gems standard punched paper approx 10" x 12". Price: $350 Columbia Studio - Animation figure of the Crow from the series of 'FOX and CROW' primary series of Screen Gems cartoon releases. 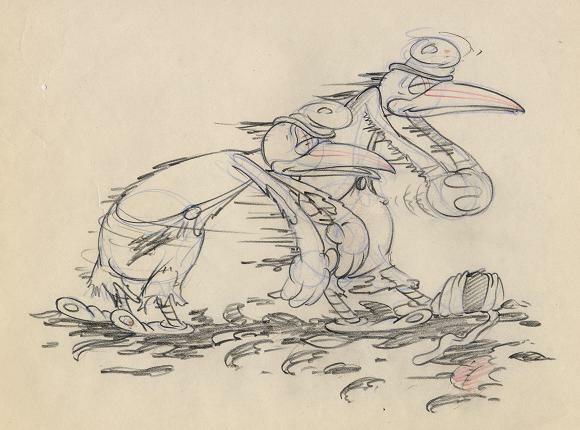 This inbetween is from the Cartoon Short, 'KUKU NUTS' released in 1945. The CROW figure is approx. 3" tall on Screen Gems standard punched paper approx 10" x 12". The drawing, other than being a little yellow with age, is in pretty good condition. The two holes punched in the top border were to assemble a 'flip' book to study the animation. Price: $450 Columbia Studio - Fox from Fox and the Crow. Animation figure of the Fox from the series of 'FOX and CROW' primary series of Screen Gems cartoon releases. This inbetween is from the Cartoon Short, 'KUKU NUTS' released in 1945. The FOX figure is approx. 3.00" tall on Screen Gems standard punched paper approx 10" x 12". The two holes punched at the top in 1945 were to collect and use the drawings like a flip book to show the action. Price: $450 Columbia Studio - Fox from Fox and the Crow. Animation figure of the Fox from the series of 'FOX and CROW' primary series of Screen Gems cartoon releases. This inbetween is from the Cartoon Short, 'KUKU NUTS' released in 1945. The FOX figure is approx. 4.00" tall on Screen Gems standard punched paper approx 10" x 12". The two holes punched at the top in 1945 were to collect and use the drawings like a flip book to show the action. #CS9 - ' Fox And The Crow', Fox 'KUKU NUTS' (1945). Price: $350 Columbia Studio - Fox from Fox and Crow. Animation figure of the Fox from the series of 'FOX and CROW' primary series of Screen Gems cartoon releases. This inbetween is from the Cartoon Short, 'KUKU NUTS' released in 1945. The FOX figure is approx. 4.00" tall on Screen Gems standard punched paper approx 10" x 12". The two holes punched at the top in 1945 were to collect and use the drawings like a flip book to show the action. #CS10 - ' Fox And The Crow', Fox 'KUKU NUTS' (1945). Price: $250 Columbia Studio - Fox from Fox and Crow. Animation figure of the Fox from the series of 'FOX and CROW' primary series of Screen Gems cartoon releases. This inbetween is from the Cartoon Short, 'KUKU NUTS' released in 1945. The FOX figure is approx. 5.00" tall on Screen Gems standard punched paper approx 10" x 12". The two holes punched at the top in 1945 were to collect and use the drawings like a flip book to show the action. # CS14 -Color Rhapsodies 'Two Lazy Crows', Drawing (1936). Price: $1200 Columbia Studio, TWO LAZY CROWS, 1936. 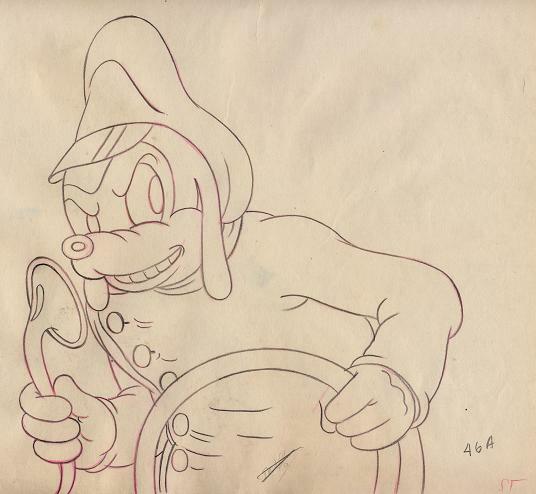 This lively, large-image animation drawing depicts the two title characters in Columbia's Color Rhapsodies theatrical cartoon released in 1936. 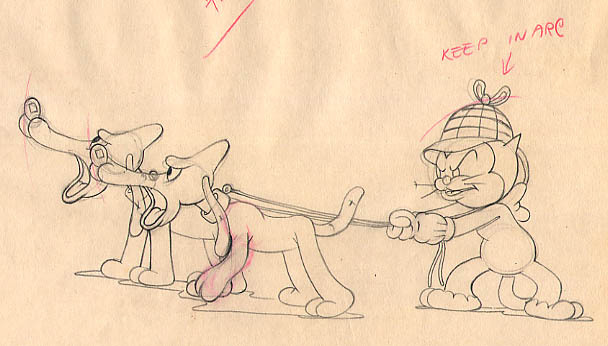 The main animator of this cartoon was Irv Spence, who became a leading animator at MGM on the Tom and Jerry cartoons directed by Bill Hanna and Joe Barbera in the 1940s and 1950s. It is a final animation drawing created by a Columbia animator in production of the animated cartoon, and a cel was made directly from it. 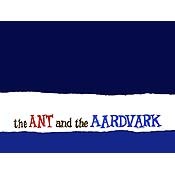 Drawn in red, blue and black pencil on an untrimmed animation sheet, the art measures 6 3/8" x 8 3/4". The animator wrote the number '322' at upper right to indicate this drawing's place in the scene. In excellent condition showing only light handling from the animation process itself: VERY FINE condition. # CS15 - Columbia Color Rhapsodies, The Horse, Drawing (1930's). Price: $285 Columbia Color Rhapsodies, The Horse, 1930's. 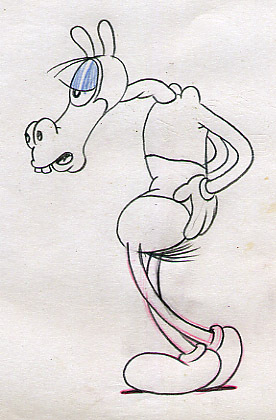 This delightful full-figure animation drawing of a comic horse was created for a Columbia cartoon of the 1930's. The dancing horse was created by a Walter Lantz Studio animator in production of an unidentified cartoon of the 1930s, and cel paintings were made directly from them. Drawn in red, blue and black pencil on an untrimmed animation sheet, the art measures 5 1/4" x 3 1/4". The animator wrote the number '32' at top right to indicate this drawing's place in the scene. In excellent condition showing only light handling from the animation process itself: VERY FINE.